Child Care Prices - How do you know what to charge? When you become a family daycare provider you will need to know what child care prices are before you start your business in your home. This page will help you to be knowledgeable of what prices are so you will know what to charge for each child. Your local Child Care Resource and Referral or Department of Human Services can assist you in what the average child care price is in your community. Once you have an idea of what others are charging you can then determine what your fees will be. You need to understand that price is what you charge for daycare- another very important part of your business is Cost of Daycare. This is what is costs you to run your daycare. Also, when you are just starting out it might be possible to get Daycare Grants to help launch that new in home business. What you should factor in when you set your child care prices! The number of children you are able to care for by the laws in your state. The amount of full time children and part time children you will care for. The ages of the kids you want to care for. What ages do you enjoy the most? Do you want care for infants? If so, their child care prices may be more than what you charge for a toddler. Some providers choose to do this- infants can be a lot of extra work, and infant care can be hard to find. I personally do not charge extra, but there have been many days I have regretted this- so why don't I? Mainly because I didn't want to put in a year or so of work, only to take a pay cut when the infant child gets older. Do you know what your own personal limits are for your patience level...how many kids can you handle to your best ability? Because some providers want to only handle 2, 3, or 4 kids, their child care prices are more than the average childcare provider in their state. The reason? The less kids they take, the smaller the group, which equals more individual attention they can give. Are you going to charge by the hour, by the day, by the week, or by the month? That's a lot to think about when considering child care costs. What I do is charge a minimum dollar amount per week for so many hours. If the parents go over the amount of hours they have contracted for, they pay me $3.25 per hour for each extra hour. 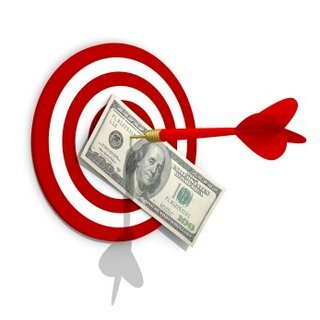 Charging by the week or month guarantees you a stable and predictable income. There are many times parents will take a day off, or take their child to Grandma's, or whatever and not bring them to your house- this can mean a days worth of lost income for you if you do not have a guaranteed income. You, as a child care provider, do not have the luxury of filling that loss in such short notice. So your child care prices promises their child a "spot" in your daycare home. I am not saying that all child care providers make $3.25 per hour, that’s what I charge. Seems so minimal for what we do in that hour for that $3.25 (a heck of a lot more than someone who pours and brings you a cup of coffee, or trims your hair, etc.) But don’t let this statistic scare you away in discouragement- You can take that $3.25 per hour X 6 (children)and it = $19.50 per hour. And depending on your area, you may be able to charge a lot more. That is a fantastic income! 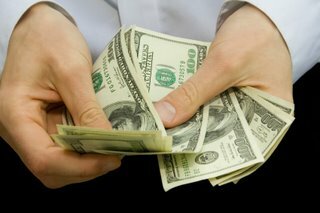 What you can charge varies widely state to state or even country to country. Here are some numbers from the web site http://www.doodledays.com in 2009. 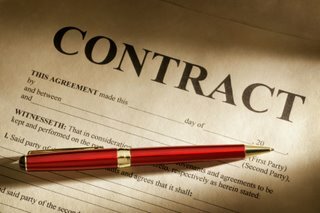 Don't forget about your contract- Include this! You'll want to decide how you'll want to contract sick days, vacation days, appointment days- yours and your families. Personally when I am sick, take a vacation, or have an appointment I do not get paid. Many providers that I know do get paid for this time off. What ever you decide, be sure to include it in your parent/provider contract. 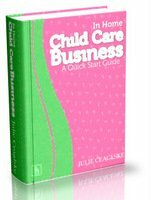 I cover this and so much more in my book, In Home Child Care Business, A Quick Start Guide This is real life help!!!! Are you going to charge late fees? You have set hours for your daycare- they pick up late or arrive early (cutting into your FAMILY time). I charge them $1.00 per minute from my set hours. This of course is your call, but keep in mind- if you let them do it once or twice without consequence it will continue... how important is your family time to you? Are you going to supply anything extra like diapers, wipes, etc? This should factor into your child care costs. One last "extra" child care cost... 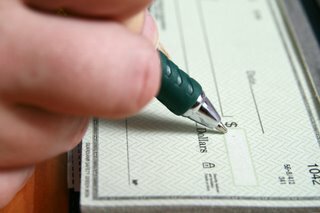 If they pay you late (you know, the "I forgot my check book" excuse) or their check bounces, you may want to establish a fee for this in your contract too. Remind them that they wouldn't want their employer to forget to pay them and banks generally charge YOU for a returned check.